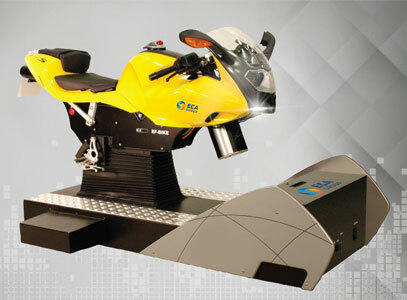 ECA Group offers the most innovative and realistic motorcycle riding simulators available on the market today. 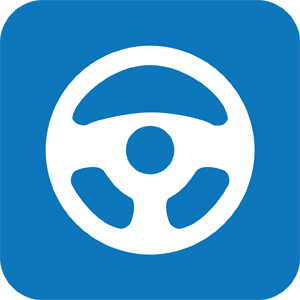 Offered in both Cruiser and Sport bike variants, each model incorporates actual OEM motorcycle hardware, accurate rider ergonomics and a comprehensive rider training software package. These simulators include high-fidelity motorcycle dynamics modeling, a motion platform for both pitch and roll of the chassis, as well as a force-feedback steering system that enables both direct and counter-steer modes. Sport Bike simulator incorporates actual OEM motorcycle hardware, with a “layover the tank” sport bike chassis. Cruiser bike simulator also incorporates actual OEM motorcycle hardware, but with more relaxed, upright riding ergonomics. Both systems offer a broad range of riding scenarios and exercises designed to address basic intermediate and advanced topics, in both city and rural environments. These simulators include high-fidelity motorcycle dynamics modeling, a 2 DOF motion platform that mimics the pitch and roll of a bike when riding, as well as a force-feedback steering system that enables both direct and counter-steer modes.in addition, our sport bike offers configurable power and handling characteristics for a lightweight twin, a middleweight class or open class sport bike.